Right on time, Pebble has opened pre-orders for the Time smartwatch today. The wearable can be yours for $199.99 if you’re in the US. You need to head to Best Buy to actually place your pre-order, since the mega retailer is Pebble’s exclusive partner for this launch stateside. If you pre-order today, delivery is expected to happen by July 20. On the other hand, if you’re in Europe, you’ll have to pay a whopping €249 for the same smartwatch – that’s about $283 at the current exchange rates. Pebble’s own online store will help you pre-order the device if you’re outside the US. In this case, however, there’s still no shipping estimate to speak of. 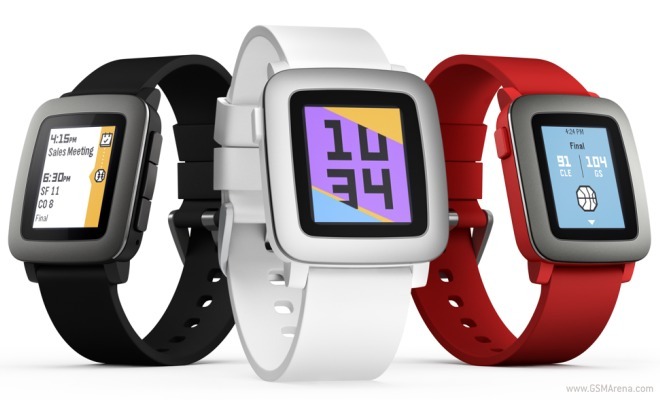 The Pebble Time comes in three color versions: white, black, and red (all of which are pictured in the image above). To find out more about this watch, make sure you read our recent review.